Prestashop is a very popular e-commerce solution which is also freely available. This is an open source software as well. It consists of all the bells and whistles that one would expect an e-commerce software package to have. It in fact has more features that many of the older open source solutions out there. Besides other features Prestashop allows the users to easily change the format of the email sent out for registration and orders. This is a very nice feature of Prestashop making it easier to make changes to what you want to send out to the customers. Edit the mail templateThese email formats can be changed in the following manner. 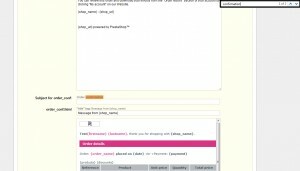 To start with, login to the admin panel of your Prestashop installation. Then go to the admin menu Localization Translations. 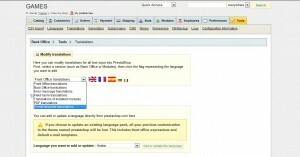 Check the first section called ‘modify translations’, and select ‘email translations template’ from the drop down box and then select the language using the flags displayed. Also select the option of ‘core theme’ from the box adjacent to the flags. This will bring up a list of core emails and module emails for you to select from. Select the core emails. This is where it is possible to change the format of all your emails including the registration and order emails. e-mail templates files that are located on your serverAlakmalak is a company that provides customization services for Prestashop and have a great deal of experience doing it as well. Feel free to contact our prestashop web developer team today. How To Edit Order Confirmation And Registration Email?